Why Do Leopards Have Spots? ← What Do Cheetahs Eat? Why do leopards have spots? Answer: camouflage – evolution has created a coat that is made for the leopard’s preferred habitat: leopards usually live in forests near rivers, woodlands and grasslands…but they are, in fact, so widely distributed that they can be found in many different habitats. The tiger’s stripes also come to mind. They look outstanding rather than good camouflage but in the dappled light of the evening, in a dense forest when the tiger is hunting it is very effective. It all sounds like common sense to be honest, but a recent research study1 backs this up. The leopard is a great climber. It is not arboreal such as the margay and clouded leopard but it spends time in trees taking killed prey into them. This helps to avoid losing the kill to larger predators such as the hyenas and lions. Leopards are opportunistic hunters but primates are often prey for the leopard. The leopard flushes the monkey out of the trees and leopards are fantastic climbers, as I said. It is believed (there is still a lack of detailed knowledge) that “leopards are mostly nocturnal.” This occurs most where they are harassed by people. Working backwards we can come to the this conclusion from the leopard’s spots. As mentioned they are designed for maximum camouflaged when the leopard is in trees under nocturnal lighting conditions. Understandably, leopards are actually less nocturnal where there is a lower population of tigers and lions. This is also common sense for the leopard. Under these conditions the leopard is also less inclined to hunt and live in trees and becomes more terrestrial. The study suggests that the spotted pattern is more complex when the cat lives in trees and is active at night. Conversely, the lion’s coat is not patterned. This is because the lion is active in open plains and they are mainly terrestrial (live on the ground); although they are usually nocturnal hunters. Hi Sylvia. Their weights are similar. 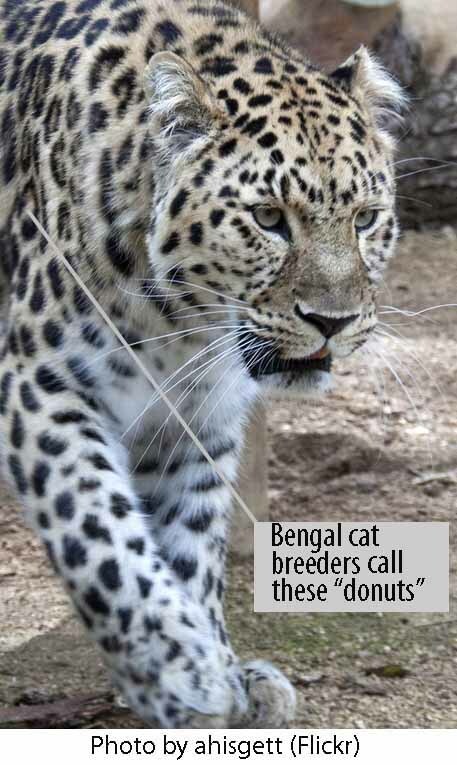 The leopard varies in weight. In Africa the Spotted Hyena male weighs about 123-138 lbs but females are larger. The male leopard weighs about 135 lbs on average in Southern Africa. Top predators tend to avoid each other if possible for obvious reasons. The lion competes with the hyena. The lion is substantially larger than the leopard. The Hyena is formidable. Nov 15, 2010 Are Hyenas Larger than Leopards? They probably are – while their torso is stumpy, they also look alarmingly muscular. The animal lovers on PoC have probably seen this before, but – if not – they might like to plug in to hemmy.net-hyena to see Pieter Hugo’s photos of these poor creatures and their tough-looking handlers, whose lives may be as hard as the animals’. It’s impossible to believe hyenas are unrelated to dogs. Thanks for a great essay on leopards.